ANOTHER exciting release from Altenew is here. 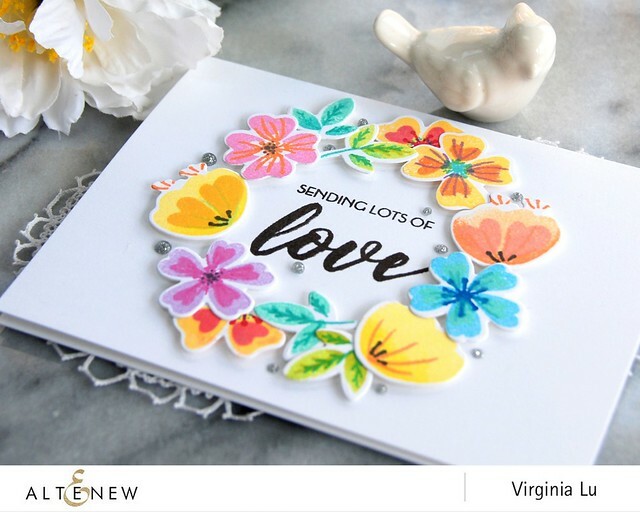 For all the details, please visit Altenew Card blog here and Scrapbooking blog here. I said it many times before...I am wowed by the new products. you are then in the right spot. If not, come on and join the fun hop. 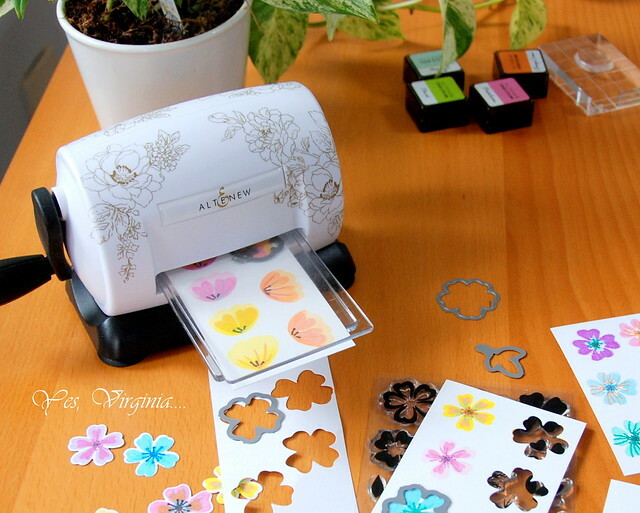 Beside all the awesome stamps and dies, Altenew now has a new MINI Die Cut Machine called Mini Blossom! I am loving having it right on my craft desk and it's perfect for die cutting the small images. 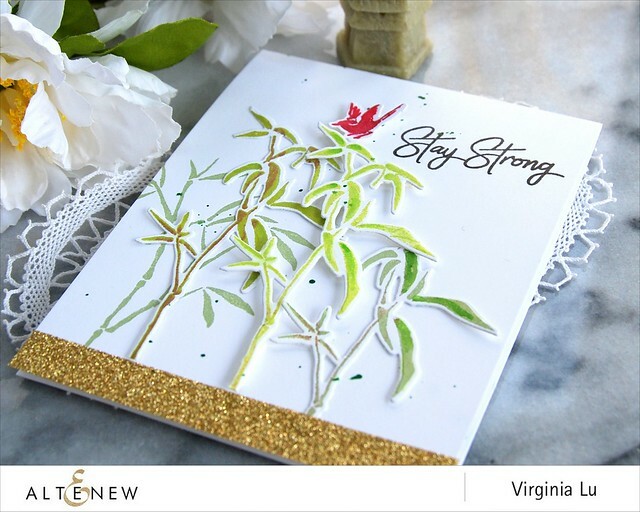 My first card is all about the Never Give Up Stamp and Die Bundle. 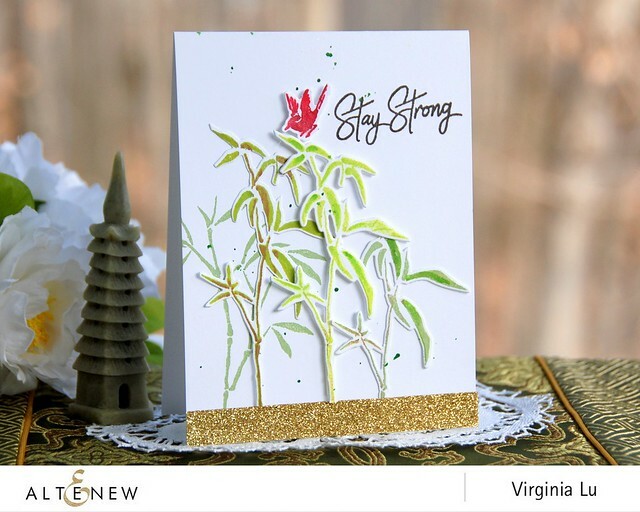 I love how the matching die can really show off the slender bamboo stalks. I love stamping all my greens in Green Fields and the various shades of green give this card great interest. I also love the sentiment in this and the handwriting is absolutely beautiful. 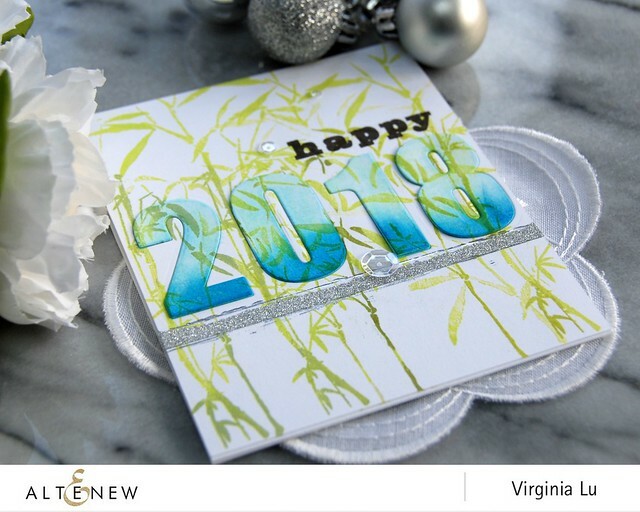 I applied more stamping of the bamboo image into my 2nd card with Bold Numeral Dies. This die is a MUST for all of your crafting projects with numbers! I stacked two extra dies underneath the 2018, so it stands out a little bit. I can't say enough about the Bold Numeral Dies. Imagine all the milestone numbers....? You will never run out of idea using these dies to mark something special. Besides all the awesome stamps and dies, Altenew now has a new MINI Die Cut Machine called Mini Blossom! I am loving having it right on my craft desk and it's perfect for die cutting the small images. This is how it looked when I created the following project. The Heart Flowers Stamp and Die Bundle stole my heart...literally. 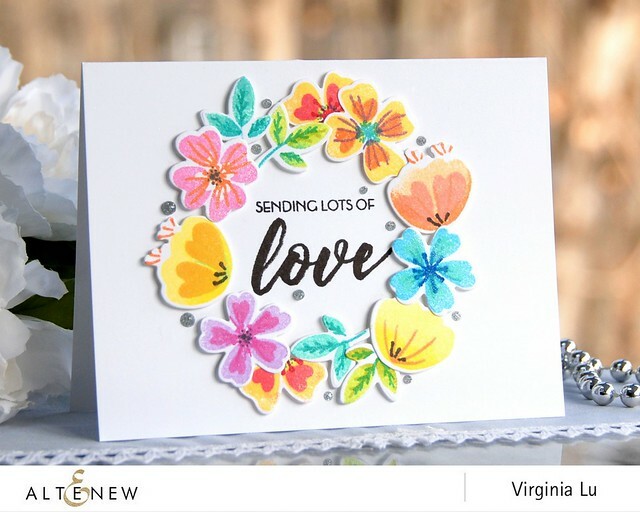 This card is all about using beautiful inks from Altenew. As long as you have Altenew Ink as your arsenal, you are good to go. I used a die cut circle as my invisible mask and arranged my flowers around the circle. Prizes: To celebrate this release, Altenew is giving away a $50 gift certificate to SIX lucky winners! Please leave a comment on the Altenew Card Blog and Altenew Scrapbook Blog by Friday, December 15th for a chance to win. 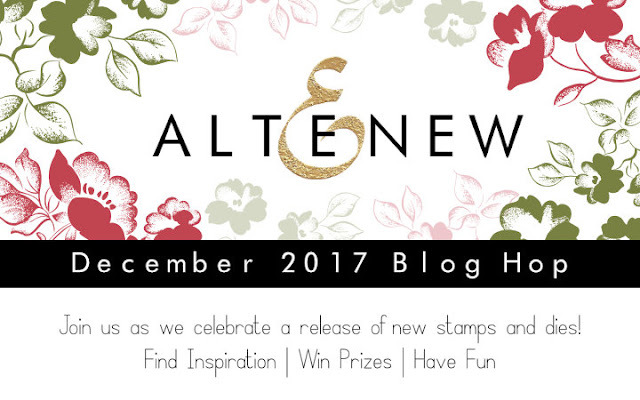 Six winners will be announced on the Altenew Card Blog and Altenew Scrapbook Blog on Sunday, December 17th. Giveaway: Yay, I get to giveaway a $30 gift certificate to a random commenter! Please leave me a comment in this very post. I will announce the winner on Dec. 12 right in this blog. 👉👉👉----> Shop this release at Simon Says Stamp here. 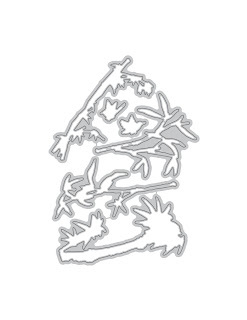 My other favorite set in this release is Frosted Garden Stamp and Die Bundle. I will be back with 3 more cards with Wild About You next. This is my new post as the Program Coordinator. You can check it out here. Thanks so much for stopping by. Enjoy the rest of your hop! ps: you are encouraged to shop through my links as I have a BIRTHDAY giveaway coming up shortly. Your cards are as amazing as the release, Virginia. I especially love the last card. That flower wreath is spectacular. I love all the pictures you include with your posts! 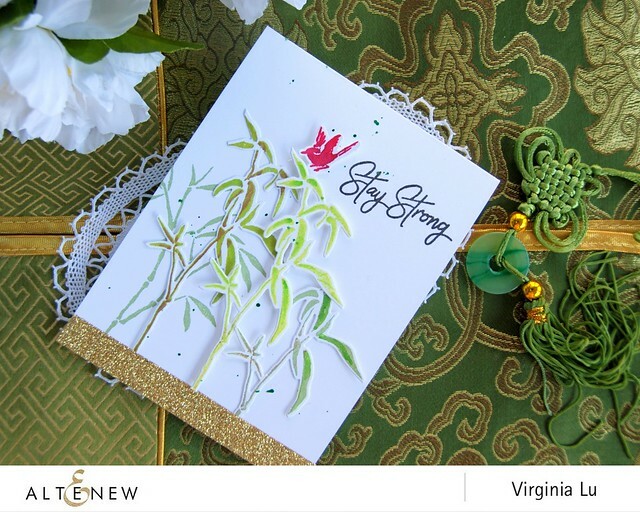 I especially like the floral wreath card and the first one with the bamboo. I miss your video's, Virginia! Gorgeous cards as always. 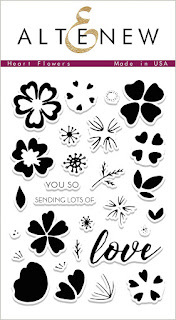 I love your card from the heart flowers stamp set. So beautiful! Love all of these cards! Wow these are gorgeous cards! The heart flowers are amazing! Limitless potential! Love the dimension on your first card. Super cute. How pretty! Each of these cards are lovely! Your coloring is beautiful! TFS! All gorgeous cards! My favorite are the first few with the bamboo. The dies really showcase how beautiful they are! Congratulations on being Program Coordinator. All your cards are beautiful. Thanks for sharing. Very beautiful cards, Virginia! Love the little mini die cutting machine, too. The happy 2018 card looks so cute! I love all the vibrant colors you used in your cards. lovely! this is another great release! GREAT ASSORTMENT OF CARDS! GOOD USE OF THE RELEASE! A stunning array of cards!!! So many amazing creations, Virginia! Altenew comes out with so many gorgeous products and you know just how to highlight them all! Beautiful!! Your cards are beautiful! Altenew really hit it out of the park with this release. Such pretty cards. 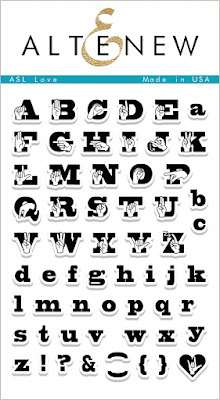 I love the strong sentiments and the ASL stamps. Thank you for sharing. Gorgeous cards but I like the last one especially, so bright and colourful. Wow! Your cards are fantastic! I love this release, the Bold Numerals are going on my wish list! Your projects are gorgeous - love the flower wreath. Great cards! What an awesome release!! Fabulous release. I love the Never Give up set! Your cards are lovely!! Awesome showcase of the December release! I LOVE that little machine, and I'm totally in love with the wreath--the colors and design are amazing! Your floral wreath is beautiful. I love that set. Oh my gosh your cards are just amazing & so inspiring! There are so many wonderful products in this release I'm not sure what to get first!! I just LOVE the bee stamp & die set, also the honeycomb background stamp is perfect!! I just love this release~! wonderful sample cards, Virgina - love the new bold numbers die - that and the new die cutting machine are on my wish list! I love your wreath so much. Such cute little flowers and lovely colors. Thanks so much for the inspiration. I love your cards, but the wreath card has to be my favorite. Your cards are all so stunning!! I love the designs of each one!! They showcase the new release so beautifully!! Wow, awesome cards Virginia. Love the last one, the flower wreath. Thanks for sharing your creativity. I love that Happy 2018 card. Very sweet and just enough detail! I am in love with your bamboo cards. They make such a simple card but look like it took a lot of time to make. I love the frosted garden set too. These are so beautiful, Virginia! Thanks so much for sharing! The last card is my favorite ... the flowers and colors are beautiful! Love the colorful wreath made with the help of the darling new little die cutting machine. The wreath is beautiful and I love how you layered the stamps and dies. Your cards are always so full of bright colors. I love that! Your 2018 card is lovely! Gorgeous cards. I love the bamboo one. So much prettiness Virgina! Love all of your cards but the perfectly delightful wreath wins my heart! I love your floral wreath card. It's so pretty and colorful. Your cards are just amazing. I can see why you were excited about the release. There is so much you can do with it. Thanks much! WONDERFUL new release and ABSOLUTELY FABULOUS cards! LOVE the delicate dimension & touch of sparkle of Stay Strong, the inky floral wreath and the BIG BOLD numbers too! Your cards are lovely! Can't wait to see what you do next. The wreath of flowers is beautiful. Wonderful cards Virginia. Beautiful cards! I really love the floral wreath card! Great colors and lovely flowers! And I am excited about the mini die cut machine too! those cards are beautiful Virginia!! love them all!! Amazing cards Virginia , these bamboo cards are fabulous.. it's one of my favorite stamp of this relase and you did an fabulous cards with it.. love the flower one two so cheerful and pretty. All three of your cards are so beautiful! 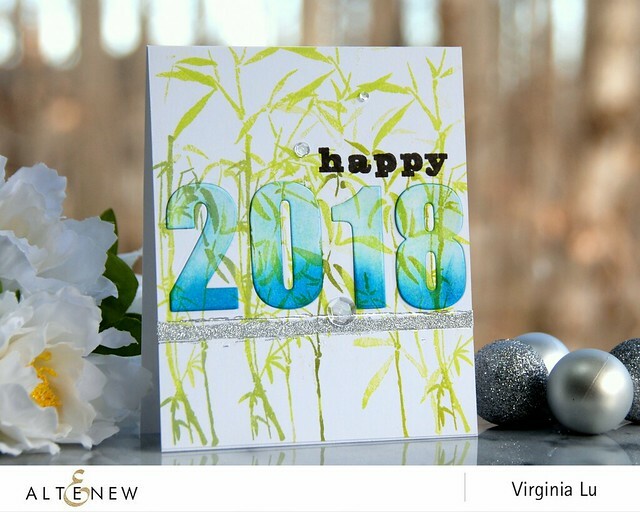 I was surprised at how thin the bamboo was die cut on your first card, it looked stunning! Ooh, I love the first card with those layers and pop of red! Oh my gosh your cards just keep getting better & better Virgina!!! I love every single one. Thanks for an awesome giveaway. Merry Christmas. So many gorgeous cards in your post today Virginia...Loved them all...!!! Love the cards! So much inspiration. Wonderful examples! I love the bamboo, so I am really glad you showed it off so well!.. Thank you so much. Oh, my! Your cards are amazing! I love the blossoms especially, and the bamboo! Great cards showcasing these new products. Love the bamboo. Absolutely beautiful cards, especially the bamboo! Love your colorful flowers in a circle of love! Gorgeous creations! I especially love the high lighted year card! release! Your cards are so lovely. You did a great job with these new stamp sets. Happy holidays. Virginia ..you always amaze me with your beautiful cards!! 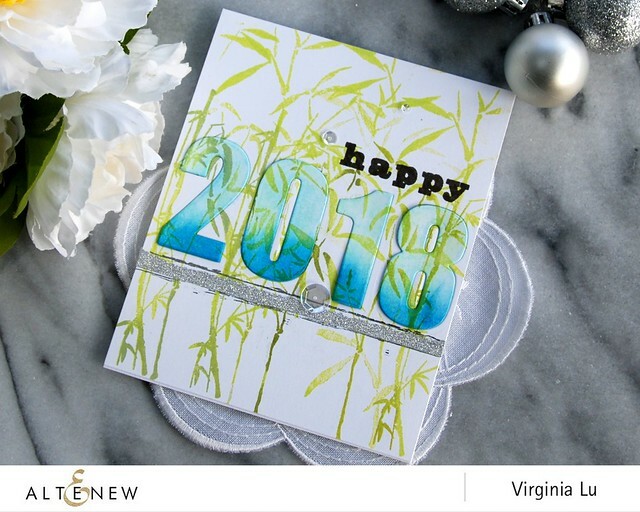 I love how you stamped & die cut the bamboo on your first card!! And your colorful flower wreath card is so happy & cheerful!! Beautiful cards, Virginia! I love the flower wreath you created on the last card - so pretty. And, I must say, I gotta get that Mini Blossom! I love your card! Anyone who receives it can't help but feel happy! is so pretty - great colors. That bamboo set is fantastic. The diecuts are so wispy and intricate...looks like I'll need that one and the wonderful little diecutter. This release is uber exciting, huh? You really, REALLY did a Super Outstanding Creative job with this release! Really beautiful cards, love the bamboo and encouragement set and those Heart Flowers set is awesome too. Thanks for showing how many die cut you can put through that cute mini blossom diecut machine, wow! Love the Frosted Garden set too, my favorite. Such beautiful cards, Virginia! 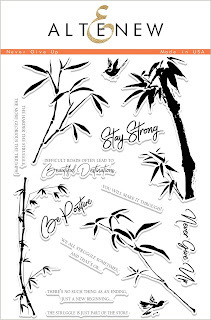 The Bamboo card is stunning with the gorgeous bamboo shoots. I love the Heart Flowers set is so pretty! That one is already on my must have list! Absolutely LOVE that rainbow of coloured flowers in a wreath! Happiness! oh my gosh that flower one is my fave! Leave it to Altenew to make sure even their basic tools are gorgeous! This release has so many wonderful sets. I love the bold sets so much. Your examples surely say why I love them so. I cannot pick a favorite in this release, I want it all. Santa are you listening??????? I Love all of your cards... but my favorite is the last gorgeous floral card. LOVE it! Great inspiration Virginia! TFS. I LOVE your sending lots of love card! I love the bright colors of the flowers. Such cute cards. I love that Bold Numeral Die set. The floral wreath you created is beautiful. Great cards! Love the die cutting machine and the big numbers! So pretty! Awesome cards as usual! My favorite is the Hearts and Flowers card, the inks you chose are so pretty! Thanks for the inspiration! Beautiful flower card. 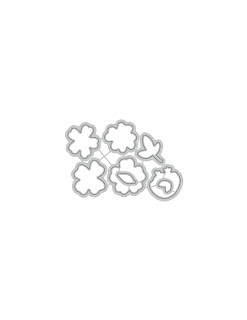 The Little Blossom cutting machine is good for the little flowers dies. Love all the cards, great ideas. Especially the flower wreath. Beautiful! So many great products in this new release. Your cards are beautiful! Very inspiring and beautiful cards. Love the new release! ...your beautiful cards are an inspiration. You make me want it all. 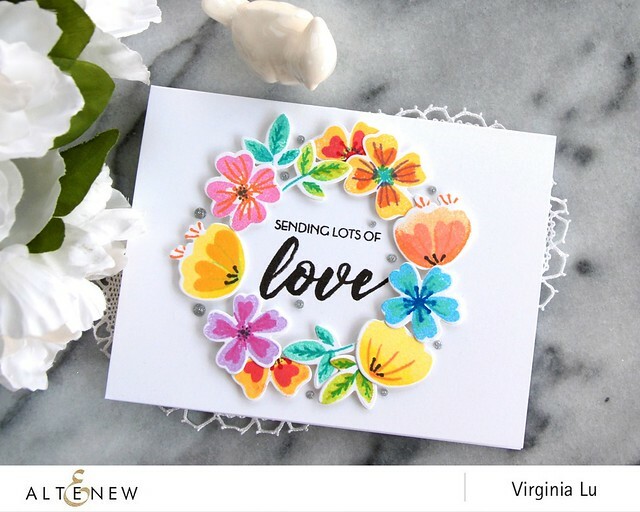 Love your colorful flowers!Great cards! Love all the flowers in this release. My favorite is the flower wreath card. Love hops, such amazing talent. I love the bamboo! And love how bright and colorful that floral wreath is! Such beautiful cards - really like the first one and the one with the fabulous wreath! Happy Birthday, Virginia! You obviously love what you do. Love that last card! The tiny machine is so useful. Really beautiful cards! Love that Little Blossom cutting machine, too! Oh my, these cards are wonderful. Love them. The flower wreath card is amazing...I love the colors! The first card is beautiful with the pop of red. Love the Never Give Up set. The sentiments are wonderful. Fabulous products and projects showcased today. Thanks for sharing your creativity with us. Love your cards, especially the ones done with the "Wild about you" stamp set! Thanks for sharing. I love the way you used glitter paper for sand. Also the stamping with the bamboo cut outs give great depth. very loevly. Jam packed with loveliness!! Any one of those beauties is bound to brighten someone's day! These are amazing cards! What a great release. I definitely want the bold numbers to go with the bold alpha dies I have. Oh and the die cut machine... Love! oh, I love those Bold Numerals, great cards you created too! Fantastic cards! I love the stay strong card!